To provide efficient and exceptional fire rescue service making Auburndale a wonderful place to live, work, and play. The Auburndale Fire Department is a full service public safety division in charge of preventing and fighting fires. The Department was originally established as a volunteer department in 1915 and has evolved to where it is today. The Fire Department is a career department which features three shifts with a total of 16 firefighters operating out of one station. In 2014 the department responded to 2119 emergency calls. The administration includes Fire Chief Brain Bradway, Deputy Chief David Cash, Fire Inspector Scott Finley and Training Safety Officer Bo Naecker. Firefighters love being involved in the community and actively seek opportunities to educate and share with them. Each year in October we participate in Fire Prevention Week where we teach fire safety and give tours of our department. If anyone is interested in visiting our station or fire related education, please visit our “Education Request” link. Brian Bradway is Auburndale’s fire chief. Chief Bradway began with the Auburndale Fire Department in 2003. Throughout his career, he has filled positions of, Firefighter / EMT, driver / engineer (Polk County Fire Rescue), lieutenant (Polk County Fire Rescue), and deputy fire chief. He was promoted to Fire Chief for the City of Auburndale April 2, 2018 after the retirement of Chief Ronnie Hall.  Chief Bradway is passionate about the providing the best customer service possible to the citizens of Auburndale and surrounding areas of Polk County. He is always excited to share the department and professionalism of the firefighters that serve the community.